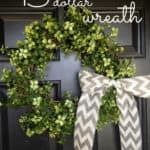 This super easy DIY Fall Wreath is made with a festive fall garland in 15 minutes for around $15! 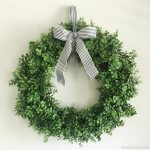 My original 15 Minute, 15 Dollar Garland Wreath is one of my most popular posts. 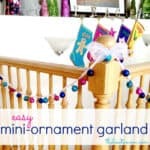 As of today, its been pinned on Pinterest over 11k times! 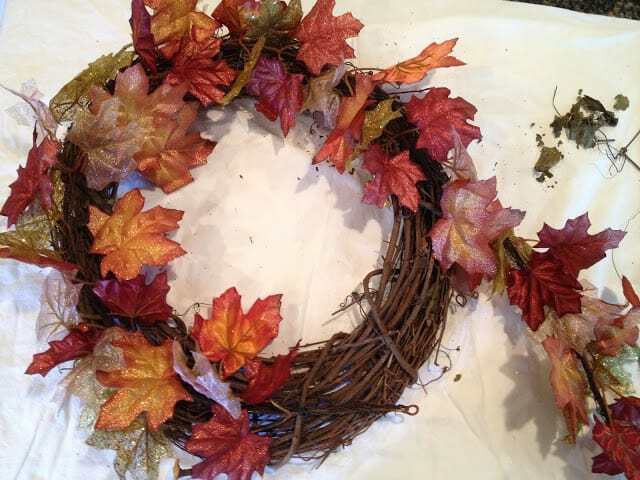 I decided I wanted to attempt a fall wreath as well, but had a hard time finding the right autumn-y garland. It had to be just right, full and expensive looking, but not actually expensive. 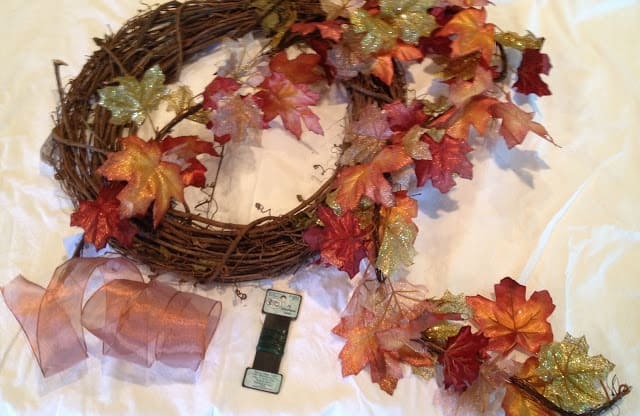 Its made the same way that my garland wreath is made, with wiring the swag onto the grapevine wreath. 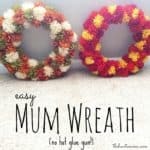 Its so easy, you just wire the garland onto the wreath every 6 inches or so. 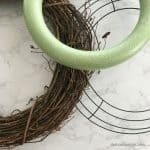 Twist and bend the vines and leaves into your desired position, and wire it into place. 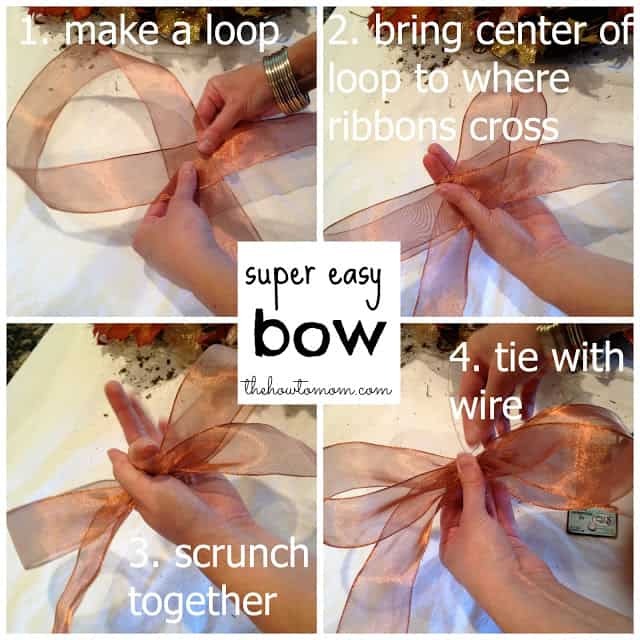 Tie some ribbon over the wire and attach it to the wreath. 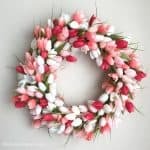 I would love to see your finished wreath! 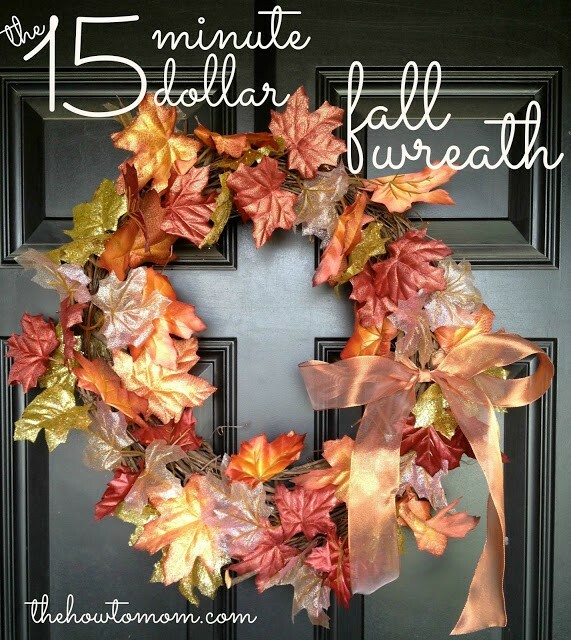 Tag your DIY Fall Wreath on Instagram or Twitter #thehowtomomwreath or post it to on The How To Mom’s Facebook page! 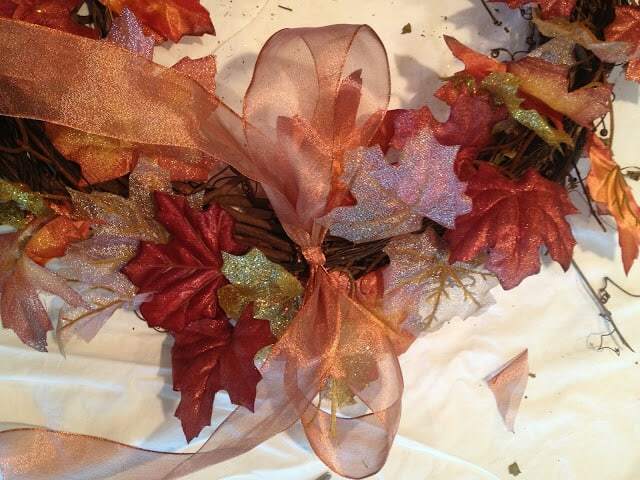 Decorating for fall is so much fun! !